With the Academy Awards only a couple of weeks away (March 2) and with all of the hoopla surrounding the nine nominated films, I thought I would highlight some other great movies that didn't receive much hoopla, but which, as they say over at the Academy, are also "worthy of your consideration." that you probably didn't see. Documentary about the unsung world of the back-up singer. 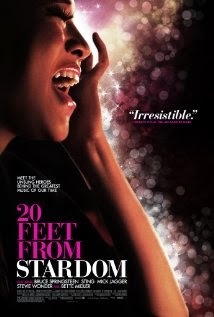 Why you should see it: Because you should know the musical contributions of Merry Clayton and Darlene Love and it will probably win the Academy Award for Best Documentary. (Update: I was right. It won the 2014 Oscar for Best Documentary). 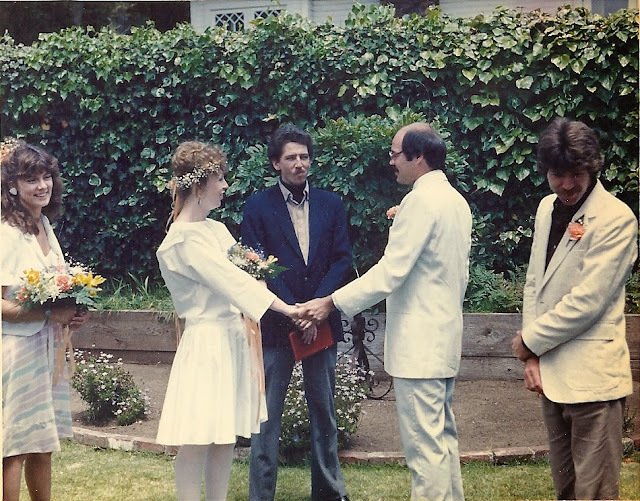 Two best friends fall for each other's sons. Why you should see it: C'mon. Isn't that titillating enough, right there? 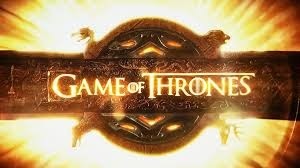 But also an interesting premise, excellent acting, beautiful people, beautiful scenery. 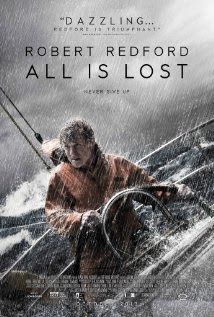 Robert Redford adrift at sea. Why you should see it: A Robert Redford tour de force and probably one of Redford's last great roles. This should have brought him an Academy Award nomination (it didn't. He was robbed). Two ex-lovers must try a high profile terrorist case together. 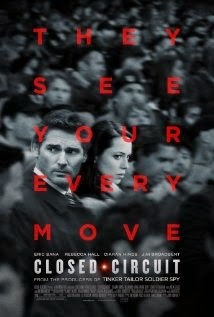 Why you should see it: Excellent fast-paced story and you should know who Rebecca Hall is. True life enactment of the last hours of Oscar Grant III who was gunned down by San Francisco BART officers for no apparent reason in the early hours of New Year's Day 2009. 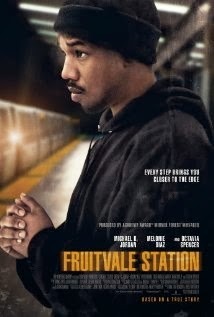 Why you should see it: Aching portrayal of Grant by Michael B. Jordan. We need to see movies like this so this kind of thing won't happen again. A young woman tries to break into the male-dominated world of movie trailer voice overs. 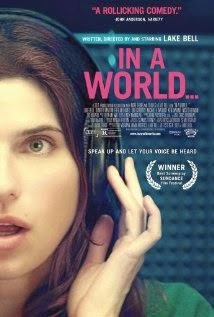 Why you should see it: Lake Bell, who wrote, directed and starred in this film. A grieving, recently widowed professor living in Paris meets a young Parisian woman and they form a connection. 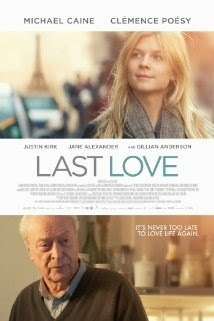 Why you should see this: Michael Caine is an acting treasure, and you won't get that many more opportunities to see him. And it's as good as "Amour," if not better. 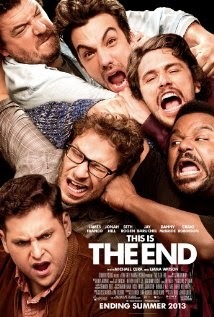 While attending a party at James Franco's house, he and several other celebrities face the end of the world. Why you should see this: Because it's really funny. 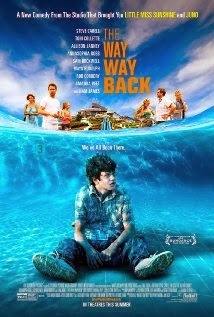 It's the summer vacation from hell for 14-year-old Duncan until he meets Owen, the manager of the water park. 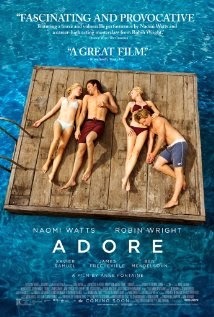 Why you should see this: It's a coming of age gem. Five friends reunite to try to complete an epic pub crawl that eluded them 20 years earlier. 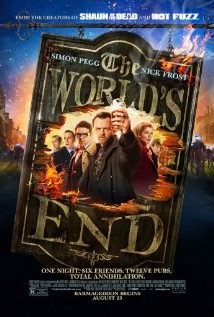 Why you should see this: Zany British humor from the folks who brought us "Shaun of the Dead." What's not to like about pub crawling and alien robots? What 2013 films would you add to this list? Wealthy girl, boy from the wrong side of the tracks, disapproving father. Classic. This is a supposed remake of the 1981 film of the same name and the credits include the Scott Spencer novel, but this 2014 version bears no resemblance to the earlier film or the book. Gabriella Wilde bears a striking resemblance to a young Nicole Kidman and certainly is a better actress than Brooke Shields was in the earlier film. Alex Pettyfer is certainly a nice looking young man and together they are an engaging couple, but the script lets them down. It's cliché ridden, far-fetched and riddled with stereotypes. However, the teenaged girls behind me in the theatre seemed to like it. Rosy the Reviewer says...for the under-25 set only and even some of them will probably think this is terrible. NOTE: Now you may wonder, why in hell did a person of my movie-going credentials I even go see this? I have to admit a soft-spot for the earlier film. Well, the Lionel Ritchie-Diana Ross theme song, actually. It figured prominently in my first meeting Hubby- that, and being hit over the head with a full can of beer. But it's a long story. Oh, all right. Since you insist. I was just getting over a bad divorce, and my friend, Janie was nursing the wounds of a recent break-up, so we went down to Big Sur for the week-end to assert our independence. We laid out on the lawn of the River Inn, sunning ourselves, while Janie tried to teach me to play bridge. That evening we ate dinner at Nepenthe and flirted with the chef who wanted to meet us at the Fernwood Resort to hear some live music. At Fernwood, the chef never appeared, but we engaged with one of the band members and danced and had a fun time. 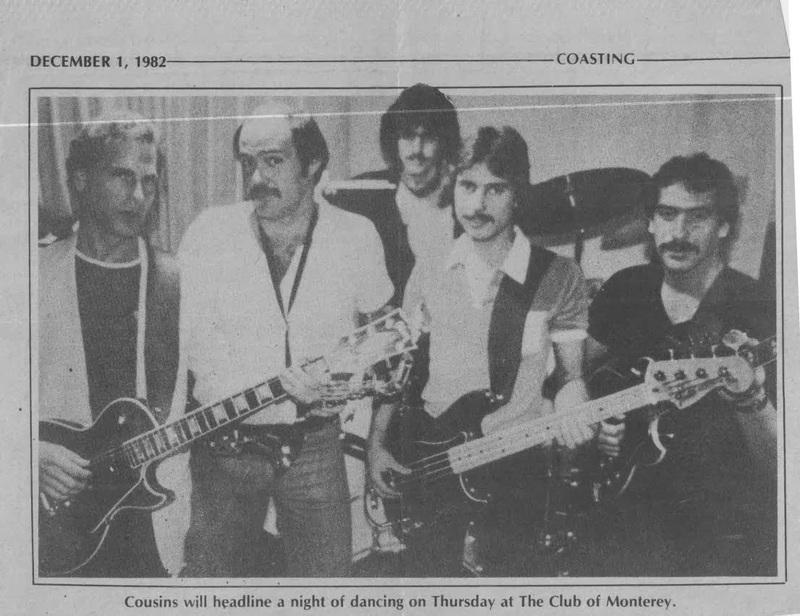 The band was called "The Cousins." That night, at our motel, Janie was sick, probably from dinner (sorry, Nepenthe), and I was in pain having gotten terribly sun-burned, but the next morning, we walked across the road to have breakfast at the River Inn and as we walked in, Janie poked me and whispered, "There's the band." The band from the night before was sitting at one of the tables, so we sidled over and sat near them. Not much later, one of the guys (it was soon-to-be Hubby) said to us, "So what do you ladies do? Are you models or actresses or what? What are your names?" We giggled and I said, "I'm Rosy," and Janie said, "I'm Janie." To which soon-to-be Hubby replied, "Well, I'm Chucky, this is Stevie, this is Sally and this is Joey." More giggling on our part. The ice had been broken (if there was any. If you read my blog, you already know I am a hopeless groupie). We eventually ended up sitting outside drinking late morning cocktails with them. There was lots of flirting, and I showed them my sunburn (I know). Someone then suggested our moving the party down river and Janie and I, being newly single, adventurous, and a little tipsy, decided that sounded like fun, though I remember saying, as we walked through the woods, "This isn't like 'Deliverance' or anything, is it?" The guys had a six pack cooling in the river and when Hubby-to-be asked me if I wanted one, I said yes and before I knew what had happened, he tossed it to me, and as I reached up for it, I was blinded by the sun and it hit me on the head. I saw stars. At that point, I wasn't worried about "Deliverance" as much as I was thinking I needed to call a medic. My life passed before me and I thought, "Here I am in the middle of nowhere with a bunch of strangers. My little son is going to be without a mother (and by the way, lest you think I had abandoned my son for a weekend of debauchery, he was with his Dad)." However, though there was blood and Hubby-to-be tended to me as best he could, no one seemed concerned (must have been those cocktails), so I rallied, and we partied on. Much later, Hubby-to-be and I ended up at my place playing records, and as the night wore on, both of us liking to sing, we engaged in a boozy version of "Endless Love" together, he was Lionel and I was Diana. (I had probably pulled that out of the "I'm going through a divorce so I listen to all kinds of lonely love songs to prolong the pain" collection.)" And other than a day or two in between, Hubby-to-be never left (his living arrangements were not the best and I think he liked my new car. His car wouldn't open on the driver's side). I was attracted to his cheeky joie de vivre. He was attracted to my feet. A year later he became Hubby. That's why I have a soft spot for "Endless Love." Let's get on with the rest of The Week in Reviews! A woman obsessed with all things Jane Austen travels to England to a Jane Austen Theme Park. Here is a really fresh idea gone terribly wrong. What was supposed to be charming and funny was just silly, and Kerri Russell looks like a deer caught in the headlights in this. It's just awful. Rosy the Reviewer says...cringe worthy. 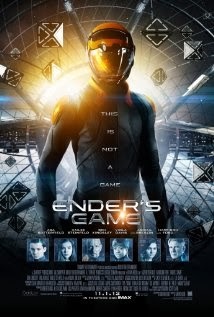 Young Ender is recruited to save the world due to his genius and amazing gaming abilities. Based on the Orson Scott Card book which won the Nebula Award in 1985 and the Hugo Award in 1986, this science fiction movie finds earth preparing for an alien invasion by training a child army of the best and brightest, led by young Ender Wiggin. There was controversy surrounding the film due to Card's conservative views and the film's supposed glorification of violence. Rosy the Reviewer says...entertaining but falls a bit flat. If you want more depth read the book instead. 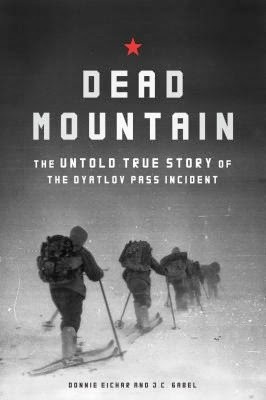 In February 1959, nine experienced Russian hikers died mysteriously while climbing in the Ural mountains. Eerie aspects of their deaths such as their bodies being found outside in subzero temperatures in the middle of winter with no shoes, strange injuries and damage to their tent led to decades of speculation about what could have happened. Rosy the Reviewer says... If you like books like "Into Thin Air," or true life mysteries, you will like this, though the author's assessment of what really happened is ultimately unsatisfying.